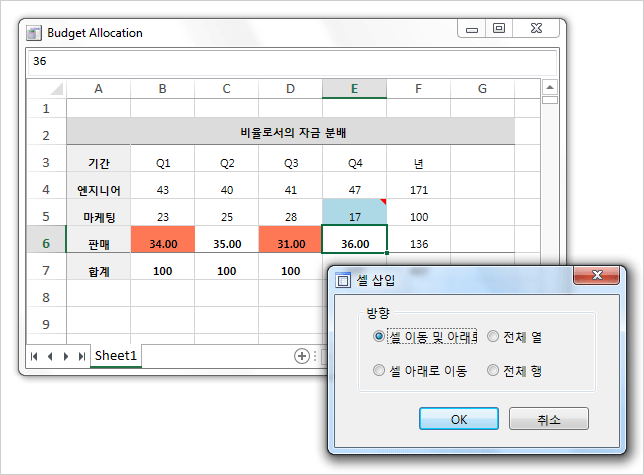 In this blog post we will demonstrate how to customize the spreadsheet control so users can input in another language. We build a budget table whose data is in Korean. We will also use the latest localization capabilities of the component to add some auxiliary forms, which UI is also in Korean. 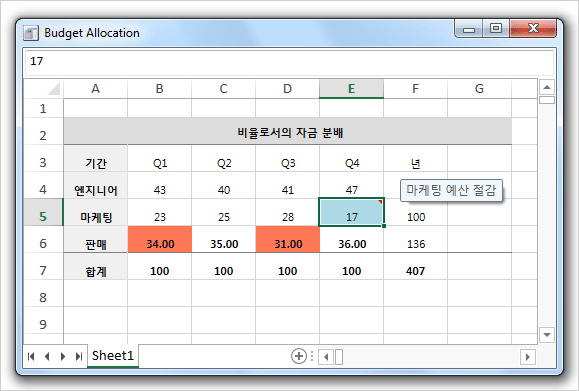 The sample uses WPF but the same methods of the control are available in Spreadsheet for WinForms. With that we have completed the general settings for the project and is time to pay attention to the localization. The component provides ready to be used UI localization files for 6 of the most common languages in the world. In our case we use the file for Korean. You will find those files in a subfolder called Localization on your hard driver, in the installation folder of the control. In this case we raise alert by painting red those cells whose value is less than 35 in cells that have column index 1 to 4 and row index 5. About Spreadsheet for WPF: A native WPF component that allows developer to add to their applications functionality similar to those of Microsoft Excel. The diverse features of the component include smart API, rich styling options, support for numerous import/export formats, custom DB functions, formula and charts. Find out more about MindFusion Spreadsheet for WPF here.